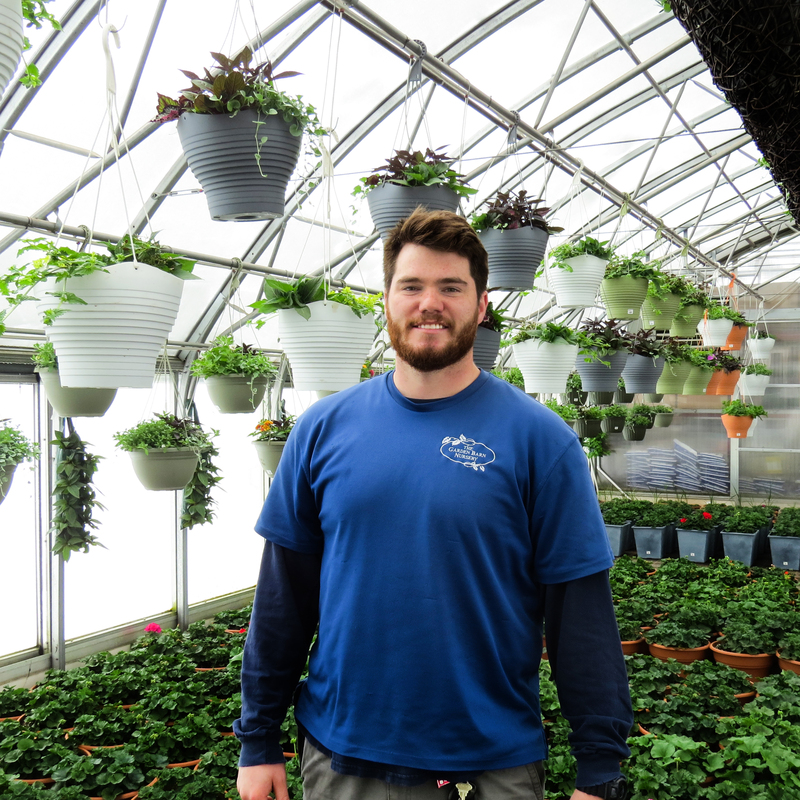 Kyle began his job at The Garden Barn in June 2016. Since his first day at work, Kyle's intrigue and appreciation for plant life and landscaping have grown tenfold! Whenever he's not asking our more knowledgeable staff members about plants, he's listening to Garden Talk podcasts. Although he received a bachelor's degree in psychology from UCONN, Kyle has found himself far more fascinated recently by horticulture than the human psyche. Kyle has become an essential member of our nursery team, and with his growing knowledge of plants, is now a prospect for salesman. He believes our excellent customer service is, "the organic product of shared enthusiasm for the beauty and utility of plant life." For Kyle, the best part about working here is how each season brings new obstacles to overcome and new products to work with. Out of all the plants he's grown attached to, his favorite is lupine for its stunning flowers that last from spring to summer. He wishes to study native plants in the future and discover how they can be utilized in restoring unbalanced ecological processes. In his free time, Kyle enjoys hiking, volunteering for a post-disaster relief organization, and - of course - gardening!